An unforgettable cycling experience, The HotChillee London - Paris 2019 will be entering Paris with pro level support and rolling road closures a day ahead of the Tour de France finish. We will be staying in the TDF teams’ hotel in Paris as well as celebrating with the optional HotChillee 15th Year Anniversary Party and Tour de France hospitality packages. Celebrate your epic journey to Paris with other HotChillee London - Paris riders, the HotChillee team and friends of HotChillee at our Party in Paris. We are also celebrating our 16th Year Anniversary in 2019 so expect a lively one! 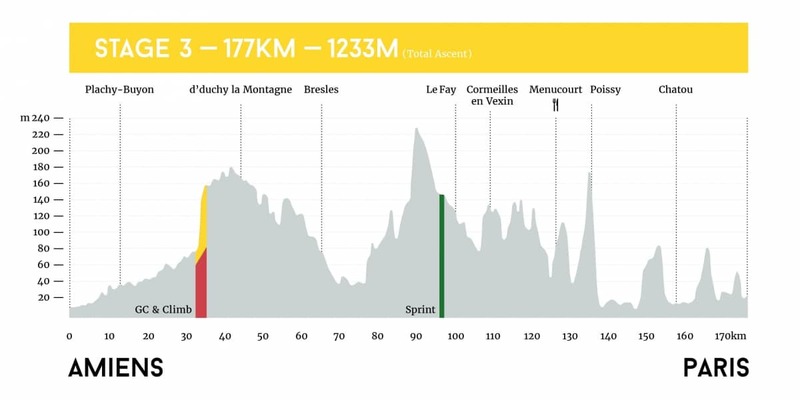 The party will be held at the Palais Maillot from 21:00, less than 5 minutes walk from the LONDON-PARIS 2019 event hotel, the Hyatt Regency Etoile (which is where the TDF pro riders will be staying). The club will be privatised from 21:00-00:00. Entry includes complimentary drinks, DJ, the HotChillee LONDON-PARIS 2018 Jersey winner’s presentation and more. Tickets cost £65 so please ask for details at the time of enquiry. Located just a few 100 metres from the finish line on the Champs-Élysées the elegant Automobile Club de France is the prime location to experience the arrival of the Tour. The venue is inside the Tour de France secure zone with access to the trackside and the pro team buses. 20% deposit required at the time of booking. 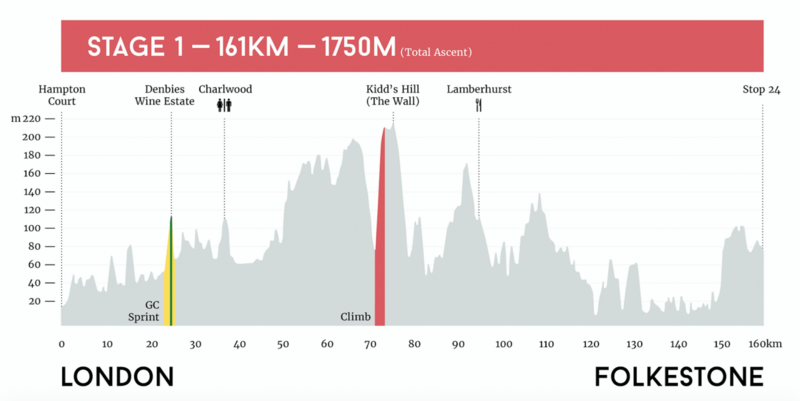 Please note that final balance is due 12 weeks before the date of the HotChillee London-Paris event. The HotChillee London-Paris is a multi stage endurance road cycling event consisting of flagged race sections with tempo riding between. The format allows for ample racing in the “Race” level groups (1 and 2), social tempo riding and interaction between the flagged sections with the “Ride” level groups (3, 4 and 5) more focused on completing the endurance nature of the event. The flagged race sections cover sprinting, climbing and over all time (general classification). Click here for further information about the competition. Each group will have approximately 60 cyclists and ride as a peloton. They are each supported by their own lead car, motorbike outriders (which manage the traffic in the UK and close the roads completely in France), mechanics van and medical support. Each group is also looked after by the HotChillee Ride Captains who are in radio contact with the support vehicles. The flagged race sections cover sprinting, climbing and general classification (GC). When you registered for the event we asked you indicate your preferred speed group. In addition to this we will require you to submit two rides to ensure that you are allocated your correct speed group. One of these rides must be 100 miles, the other 100kms. You have until 31st May to provide this information – it does not have to be at an organised event, but it will need to be recorded on Strava and shared on the HotChillee Strava Club which you can join here. The monthly HotChillee group ride in April will be 100km. Who manages the ride? The ride is managed by the Commissaire and ultimately the Event Director. Any decision by the Commissaire is final. What kind of bike may I ride? The HotChillee London-Paris is restricted to roadworthy road bicycles only. If you are in any doubt then contact the organisers whose decision is final. 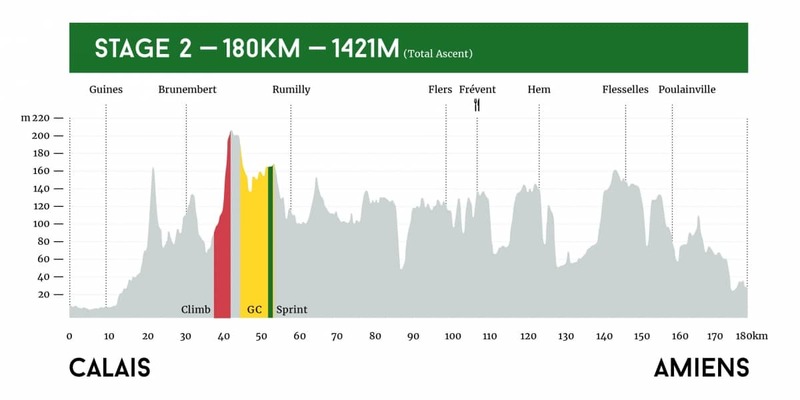 The ride takes place on tarred or cobbled roads and where authentic “Spring Stages” as in the 2009 tour are included you can expect some rougher roads as used in the “classics”. What do I wear? Helmets complying with international safety standards are compulsory for the duration of the ride. Closed cycling shoes (no fancy sandals), shorts and jerseys are also recommended for your safety. It is recommended that you take three sets of cycling kit and a plastic bag for the dirty clothes! At this time of the year in France the day time temperature is 15-23 Deg Celsius. Be sure to include a lightweight rain jacket – with global warming you never know! Post riding, (and evening wear) dress is casual. There has been an increasing prevalence of riding with stereo headsets and Ipods. For safety reasons they are not permitted whilst riding. We operate a bag service. The bags will “ride ahead” of you and you will only see your bag again in the evening for the overnight stop. If you require items during the day please use the Musettes as provided by the service vehicle. You will be able to access your musette at the lunch stop and the finish of each day. Each rider will be given a luggage label at Sign On, please ensure that this attached securly to your bag. Every care will be taken to ensure that the bags are safeguarded. However, cyclists are advised not to leave expensive, valuable items in their bags, as the organisers cannot take responsibility for any losses. Only soft travel bags will be permitted and one bag per rider. Do I need a bike bag or box? No, please do not bring bags or boxes (unless you are travelling onwards from Paris). These take up valuable space. The support crew will pack the bikes with protection (however you are responsible for insuring your bike against any damage for the duration of the event, including transit). If you are leaving us in Paris then you will need to book your bike bag/box (hard or soft) onto the transportation trucks at a cost of £45. Do we have mechanics? Yes we have a full mechanics service for each group. This service is provided by Service Corps and lead Graeme Freestone-King as the Head Mechanic. The service runs from fully fitted vans and thus most repairs will be able to be facilitated. The service is available to deal with bike repairs/failures and problems. There will also be spare bikes and numerous spare wheels. What happens if I puncture? Let’s hope that you do not puncture! Please try and ensure that you are using new tyres and tubes as this greatly reduces the chance of puncture. Let the group know that you have punctured. Let your support van know that you have a puncture. If you have lost the group, the support van will drop you off with the group again. There may of course be a situation with loads of punctures for whatever reason. Thus be sure to carry one tube and CO2 canister at least, so that you can effect the repair yourself. How do I pay for tubes, spares etc used? We use a “chit” system. All you need to do is sign for the items and your credit card will be charged after the event. In order to use this service you will need to sign a form before departing on the LONDON-PARIS acknowledging that you will be using this service. Where do I keep my sun cream, wallet, and other small items? The support van will have musettes available. These are small bags. You can keep items that you may wish to access during the day in this bag, and it will be kept in the support van. Be aware that your luggage bags will be well ahead of the peloton, so you will not be able to access this before arrival at the hotel. It might be useful to keep a dry top, arm and leg warmers and long sleeve in the musette. What about lunch on route? Each day we have a lunch stop of approx. 30-45 minutes (except Stage 1 where lunch will be at Stop 24 Folkestone). Lunch is included and consists of endurance related foods. We have a team of sports therapists from Roadside Therapy. They will be available at the start, lunch and hotels in the evenings. You can book these at the beginning of each day with the Sports Therapist Team. A detailed map of the route will be distributed before the event. It is your responsibility to familiarise yourself with the route. The route is open to traffic, and you are warned to keep to the left of the road in the UK and on the right in France, not cross the centre line at any time and to obey traffic regulations, traffic officers and authorised marshals. The route will be published on Ride Cards that you receive at Sign On. Please keep your Ride Cards with you for the duration of the ride. Can I download the course to my Wahoo? HotChillee has decided not to publish the course in GPX format for several reasons. If the event course is subject to last minute changes or safety related detours under the direction of the race commissar we feel that for group safety it’s best that the peloton follows the exclusive directions of the marshals and lead cars. The riders must stay behind the lead car and in front of the mechanics support van at all times following the direction of the marshals who are responsible for directing us to the finish in Paris. Relieved of hassles of navigation you are then free to concentrate on cycling and experiencing the true pleasure of group riding. What happens if I need to cancel my entry? If for any reason you need to cancel your entry you are able to nominate a substitute for your place and we will refund your entry less a £300 administration fee for a completed substitution. You are able to substitute your place up to 31 days prior to the event Sign On Date. If you have to cancel in full then please call us to discuss as soon as you can. We will do our best to make sure you can defer or gain a partial refund on your trip. You will require a valid passport and if applicable, visa for travel. You are also required to take out personal travel insurance. We recommend that all riders take out travel insurance as the tour involves multi geography riding. We recommend our Insurance Partner Procycle Insurance. Cell phone (Be sure to enable roaming well before you leave. If you are coming from the USA or Asia, make sure that you have a GSM enabled phone.) Carry your phone on you for text alerts. Bike Hire is available. Please contact us to arrange in advance of HotChillee London-Paris. Full balance is required 10 weeks before the date of the HotChillee London-Paris.